Dwayne Creel is the owner of Carolina Storm Water Services, LLC. 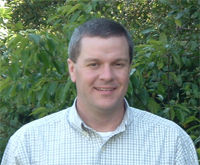 He is a SC licensed professional engineer and a Certified Erosion Prevention and Sediment Control Inspector. Dwayne obtained a Bachelor's Degree in Civil and Environmental Engineering from the University of South Carolina in 1997. He has over 10 years of experience in the storm water management and sediment and erosion control field, including 8 years of experience with the South Carolina Department of Health and Environmental Control. His primary focus has been on storm water management and regulatory compliance. Dwayne's engineering and regulatory background includes extensive involvement in the permitting, compliance, and enforcement of both State and Federal storm water regulations. Having been involved in the regulatory process for years, he knows how regulators expect sites to be monitored and maintained. He is also knowledgeable in the enforcement process and knows how permit violations are handled and how they can be avoided, both at the State and Federal government levels. Dwayne's career in the storm water management field includes both management and engineering responsibilities with the South Carolina Department of Health and Environmental Control and now with Carolina Storm Water Services, LLC. During his last two years with the Department, he served as the Manager of the Storm Water, Agricultural and Dam Safety Permitting Section. In his first six years with DHEC, he served as an environmental engineer reviewing storm water plans to ensure that they met the requirements of both the state and federal storm water regulations. Dwayne also had the opportunity to serve as the interim District Engineer in the Central Midlands Environmental Quality Control District Office handling water and sewer certification packages and conducting storm water inspections. He also developed a guidance document for developers and design professionals to assist in preparing site plans for approval, Storm Water Management and Sediment and Erosion Control Permitting Guidance Document. Throughout his career at DHEC, he was actively involved with other DHEC personnel in conducting inspections of projects that were under the jurisdiction of delegated entities and projects subject to approval and inspection by the S.C. Department of Transportation. Dwayne also assisted Clemson University and the South Carolina Department of Transportation in creating and teaching the Certified Erosion Prevention and Sediment Control Inspector (CEPSCI) training course. In 2005, after seeing the growing demand for storm water compliance assistance and having a strong desire to expand his professional abilities, Carolina Storm Water Services, LLC was established. The primary objective in this new venture was to develop a resource that builders and developers could utilitize to maintain compliance with their land disturbance permits. Since opening in the Spring of 2005, Carolina Storm Water Services now consists of 4 DHEC-certified site inspectors and 2 SC licensed professional engineers. When Dwayne is not assisting his clients with storm water compliance issues, he enjoys spending time with his wife and two sons and being outdoors.